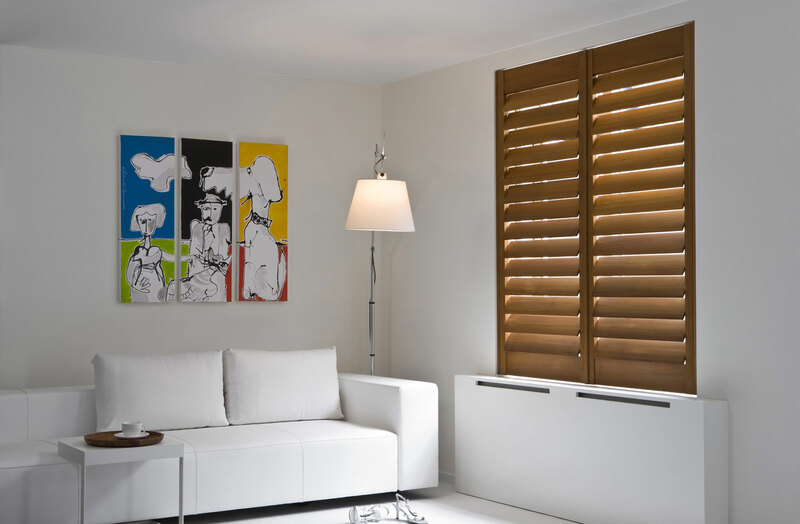 If you’re looking to create a cosy feel in your home, then wooden shutters are for you. 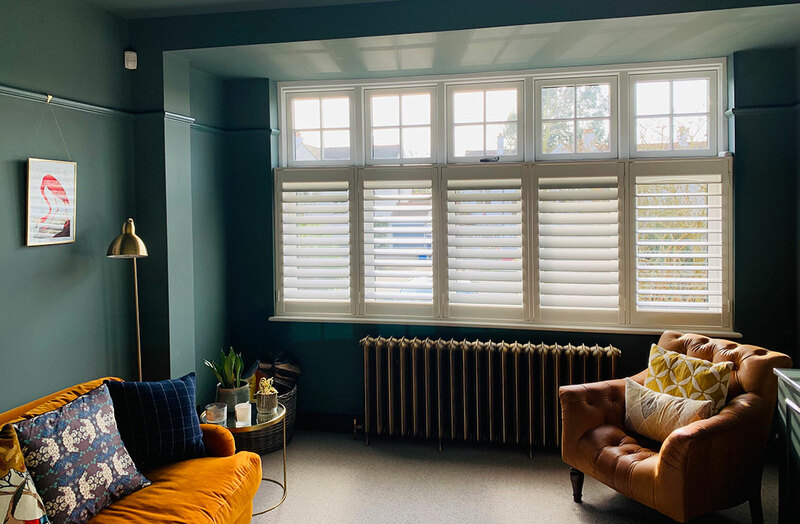 Lavish, warming and full of character, wooden shutters look great in all types of interiors, and whether painted or stained, are the most practical window dressing for everyday living. Wooden shutters are easy to clean, simple to operate allowing for maximum light control and offer excellent heat insulation benefits too. Stained hardwood shutters are perfect for interiors that have a rustic, industrial vibe. As the rustic look is all about darker colours and materials like leather, brick, metal and concrete, a darker rick grain would add the perfect accent the perfect rustic accent and compliment the scheme. If you’re a fan of the scandi look that’s inspired by raw materials such as ceramic clay, linen, wool, felt and fur, opting for hardwood shutters in a natural stain will bring the minimal ‘raw’ look to your windows. Wooden shutters are renown for adding charm to a home and are fitting for eclectic interiors. The irregularity of the wood grain on each sat makes wooden shutters a unique option for eclectic interiors, and complement all patterns, fabrics and colours. See and feel the grain of our wooden shutters range for yourself when you book your free, no obligation in-house survey. Simply call us on 203 960 6963 to book. All shutters come with a 5-year guarantee. When choosing your dream shutters, there are several factors to consider. As well as deciding what type of shutter will best suit your home, colour and size of louvres, you must decide whether or not you want the tilt rod to be visible. Tilt rods are essentially the material and mechanism that are used to angle your slats and dictate the natural lighting of your home. They are also vital for the overall aesthetics of the shutter and can be a standout feature. Throughout the history of shutters, the tilt rod has been on show. So if you have a traditional interior, a visible tilt rod may suit the needs of your home. 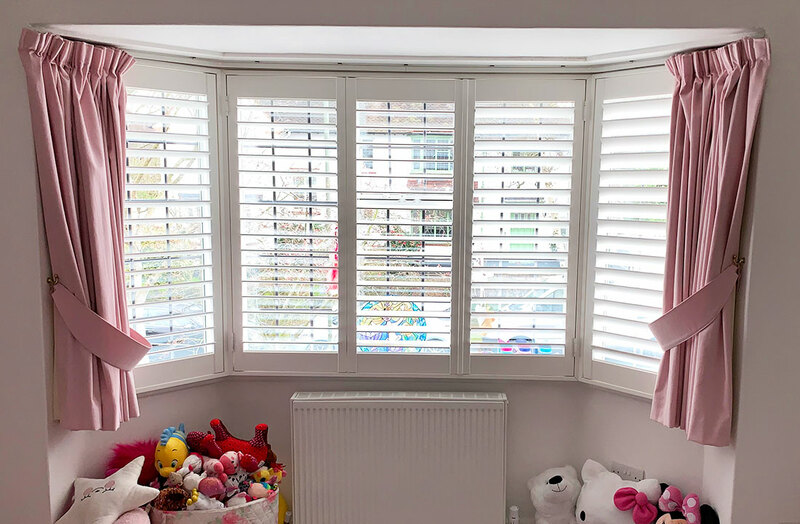 Visible tilt rods are not just restricted to the centre of your shutters and can be positioned to the left or right – opening up your shutters to a variety of different looks. Visible tilt rods are easy to access and intuitive to use. Hidden tilt rods may confuse guests or family members who aren’t used to the mechanism. Can make your shutter look too ‘busy’ especially if you have lots of ornamentation on your windows such as leading or grills. As a conspicuous feature, the visible tilt rod may be tempting for young children to mess around with which could leave to damage over time. Hidden tilt rods are disguised within the stiles of your shutters and can be opened and closed easily by rolling the tilt rod with the palm of your hand or by physically moving the individual louvres. 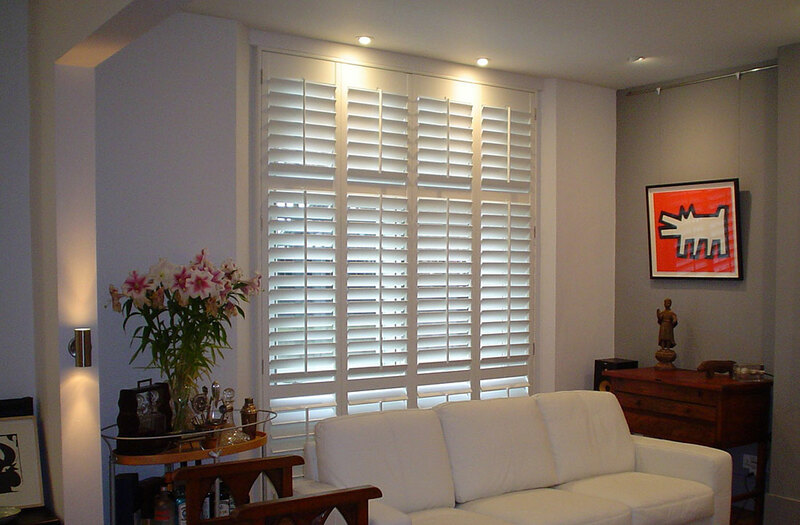 Many think shutters appear more streamlined without a tilt rod, making a hidden tilt rod perfect for minimalists. The hidden tilt rod can prevent excessive lines from dividing form of your shutters, especially when coupled with full height shutters and wide louvres. Hidden tilt rods may not be ideal for those who would prefer a more traditional design of shutter. The hidden tilt rod may come at an extra cost compared to the standard visible tilt rod. For more information on visible rods and hidden rods for shutters, or to book your no obligation in-house survey, call Totally Shutters today on 0203 960 6963. All shutters come with a 5-year guarantee. Most people want their homes to be a little bit greener and a part of this process is learning about the environmental effects of products and the impact over time. So how do window shutters score on the environmental scale? Windows are a culprit for heat loss. A great way to reduce your household energy usage and cut down your bills is to install window shutters. When internal shutters are closed they seal the window completely leaving no gaps, ensuring that no heat escapes through the window. Real wood and PVC are the most common materials used for shutters and are both known for being eco-friendly and sustainable. Unlike curtains and blinds that require constant repair and replacement, shutters are made of more durable materials and can last at least 20 years without a problem. The main appeal of shutters over different kind of window treatments is their ability to control light. Shutters are a great way to limit the amount of natural light without removing it completely, as such, the need for artificial lighting is reduced. For more information on the eco-friendly benefits of windows shutters, or to book your no obligation in-house survey, contact Totally Shutters today on 0203 960 6963. All shutters come with a 5-year guarantee. Shutters and curtains are a match made in heaven. Curtains on their own can leave a window looking unfinished, and pairing with blinds isn’t a great solution as blinds block light, but pairing with shutters and you receive all the benefits (light control, tons of privacy, an insulated window and plenty of kerb appeal) while achieving a luxurious layered look. One of the best things about pairing made-to-measure shutters and curtains is the contrast in textures that it brings to your interior. The soft folds of the curtain fabric against the sleek lines of the shutter blinds helps to create a boutique look. Pairing shutters with curtains in your bedroom can help you enjoy a better night’s sleep. Shutters block the amount of unwanted noise coming through your windows while curtains can create a relaxed and romantic feel. Both shutters and curtains are great at preventing draughts and locking in the heat. Doubling up and you have the ultimate energy efficient pairing, helping to maintain a cosy temperature all year round. Once you’ve decided on the layered look, you’ve got a wide range of shutter styles to choose from including tier-on-tier, cafe style, full height and solid panels. You will also be able to accessorise your shutters and curtains to suit your interior preferences. 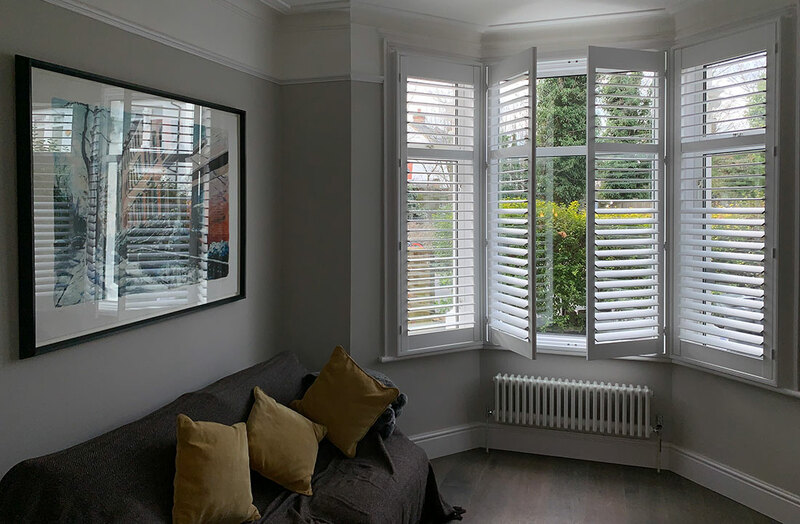 For more information on layering your shutters with curtains, or would like to book your free no obligation in-house survey, get in touch with Totally Shutter on 0203 960 6963. All shutters come with a 5-year guarantee. How Do Interior Colours Affect Your Mood? Have you ever walked into someone’s home and it makes you feel cosy, relaxed and comfortable? They may have the same house, furniture and appliances as you, but being there feels much more welcoming? Bold and sophisticated, black isn’t the most common choice for interior design, which makes sense as if you paint the entire room black, it will create a depressing and sad ambience. However, black is a versatile option that will match with any colour. It’s great for adding depth and bringing out certain elements in your room. Calm and versatile, grey is a great background colour that has been an ongoing trend for some time. Grey can be easily combined with other colours and textures. Paired with blue and brown, grey has been proven to boost productivity and creativity. Clean and pure, white is perfect for creating a tranquil and calm atmosphere. White is great at enlarging living space, but too much white can make your room look too sterile. White goes great with any colour and is often the go-to colour for minimal interiors. Rich and dramatic, purple is the perfect colour for your bedroom. Dark purple is an intimate colour, where light purples create a romantic atmosphere. Purple boosts prosperity, so if you’re looking for a luxurious interior, start introducing small amounts of purple to your interior. Passionate and powerful, red is a stimulating colour which adds the element of warmth and luxury. In Asia culture, red is a brave colour that carries good luck. Using red for your accessories or as accents in your home is a good idea, however, be careful not to overdo and create an aggressive mood. Calming and serene, blue is a versatile colour. Light blue is tranquil and soft, while dark blue is powerful and serious. Blue is a great colour for bathrooms, bedrooms and living rooms. Blue is known for suppressing appetite, so consider using it in your kitchen if you want to lose weight. Refreshing and soothing, green represents nature and vitality like no other colour. Green creates a balanced atmosphere, great for unwinding in. Therefore, consider using green in the bedroom, bathroom, living or dining room. Green is great for spaces where people tend to socialise and connect. Why not add a splash of colour to your shutters? We offer a range of colours and often a custom colour match service that provides the perfect match to any interior. For more information, or to request your free, no obligation in-house survey, call us today on 0203 960 6963. Which shutter style to choose? Solid shutters provide complete blackout and reduce noise disruption and are ideal for bedrooms with lots of lights or in busy areas. Solid shutters are great at keeping the heat in so you’ll feel snug during the winter months and will keep your room shaded and feeling cool in the summer months. Cafe-style shutters only cover the lower part of your window, offering both privacy and light at the same time. Cafe shutters can be matched with curtains for a beautiful layered look. Tier-on-tier shutters give you the option to open your window and let lots of light in during the day, whilst providing privacy at night time. With tier-on-tier, you can open up the top half whilst keeping the bottom section closed to provide both light and privacy at the same time. Full height shutters are great for bedrooms with a bay window, providing fantastic coverage and privacy. Where curtains may cut off a bay window and make the room feel small, shutters are made to fit and make the room appear larger. 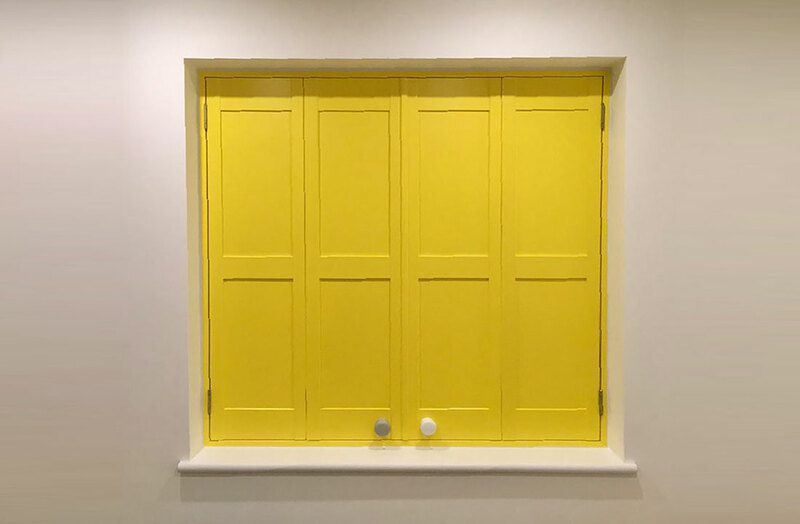 Coloured shutters create a statement look and at Totally Shutters we can paint your shutter blinds in virtually any colour to compliment the colour scheme in your bedroom. Plantation shutters are a fantastic choice for bedroom windows. Whether you want to make the most of the view and daylight or are looking for a full blackout, we have a shutter style right for you. 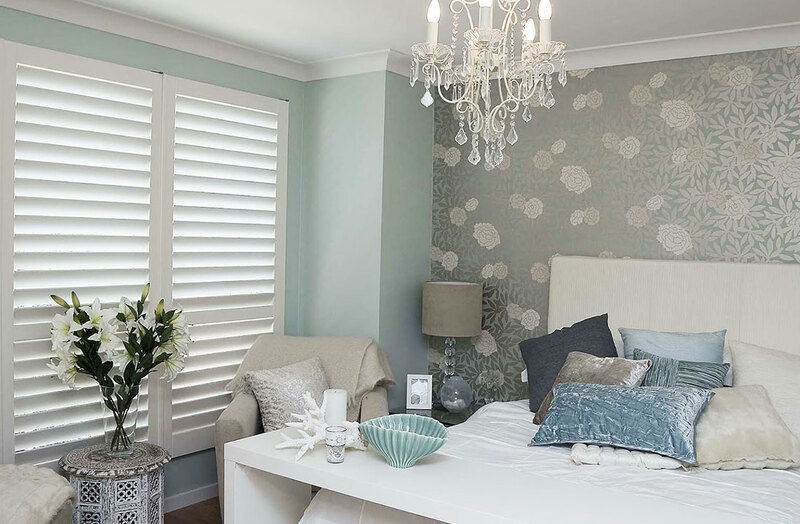 For more information on bedroom shutters, call us today on 0203 960 6963. Whether you plan to your home soon or have no plans at all, finding ways to increase the value of your home can pay off in the long run. Cosmetic changes such as converting the loft or redesigning the kitchen are often the most obvious choices but don’t forget value can be added through some basic structural repairs too. Your front door is the first thing a potential home buyer will see. According to Home Advisor, replacing your front door with a high-quality steel door has a 90.7% return on investment. Even a touch of paint can brighten your home and increase its value. An inexpensive way to update your home and make it more appealing is by repainting your interior. Light and neutral colours help sell homes rather than outdated bold colours and busy patterns. Curb appeal is real and making your home inviting from the outside makes your home a pleasurable place to relax and increases the value of your home when you’re ready to sell. Landscaping can be as simple as planting a few flowers to adding a new patio. Shutters are more than just a beautiful window treatment, they’re a permanent addition to your home which comes with several benefits, including increasing its resale value. Shutters are durable and energy efficient, meaning the potential home buyer will spend less money on utilities. If you’re looking at increasing your home value with shutters and would like to book your free, no obligation, in-house survey, call Totally Shutters today on 0203 960 6963. All shutters come with a 5-year guarantee. Do you have a large window in your home, a feature window or patio door? Are you looking for a window covering solution that will fit that window seamlessly? Look no further as tracked shutters from Totally Shutters are the perfect solution! 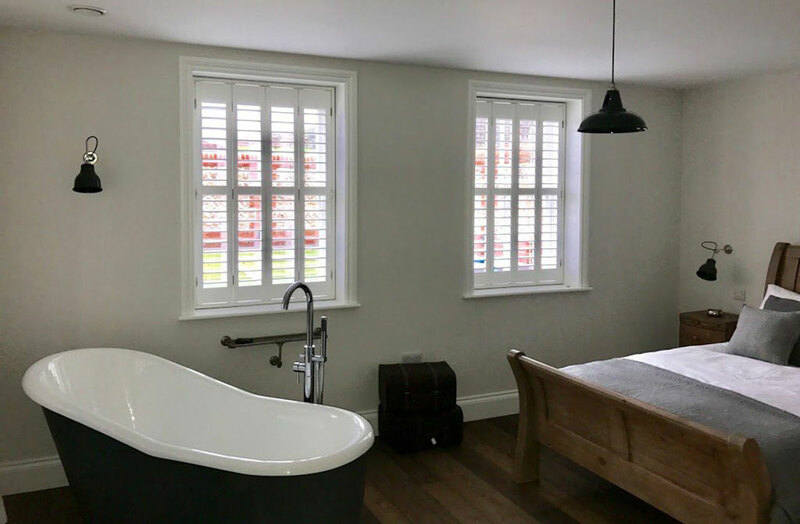 Tracked shutters are a stylish covering option for larger windows, helping you to control your light and privacy levels while stilling allowing light to stream in while the louvres are open. Easy to open and close, tracked shutters come in two styles depending on your needs: a by-pass system and a bi-fold system. The by-pass system allows each panel to effortlessly slide past the other on smooth-running tracks, making this option ideal for wardrobes and room dividers. Whereas the bi-fold system simply folds out of the way against the adjoining wall. Are tracked shutters for me? The maximum width of a shutter panel is 91cm. If your window is wider than 91cm, you will need multiple panels. However, if your window is wider than 250cm, you will need tracked shutters. Tracked shutters can be made to measure any space and fit seamlessly with any colour or interior design. Beyond larger windows and sliding doors, tracked shutters work well dividing up space in open plan homes, creating flexible contemporary living spaces without obstructing the light. 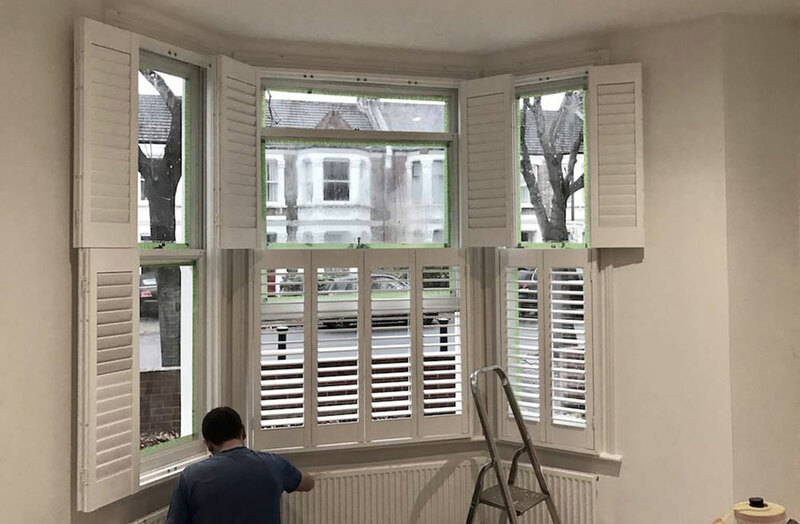 For more information on tracked shutters for larger windows, or to book your free, no obligation in-house survey, contact Totally Shutters today on 0203 960 6963. It’s true, shutters are not the cheapest window covering option on the market but unlike blinds and drapes that have a short life-cycle, shutters are a permanent addition to your home. Shutters add value to your property and come with multiple benefits; they’re energy efficient and proven to lower your energy bills. Taking these benefits into consideration, shutters are an investment rather than an expense. There are several home projects that you can complete in a single weekend, but installing shutters may not be one of them. Putting in new shutters can be tricky, and if the process isn’t done right, you could end up with crooked shutters and frequent draughts. At Totally Shutters we do offer a DIY discount, however, we only recommend this to experts. Maybe the name “plantation shutters” lead people to believe that shutters are for period properties but this certainly isn’t true. While shutters were used in homes stretching back decades, their crisp, versatile and stylish appeal allow them to fit in with all types of properties. For some reason, some people believe shutters and blinds are the same. Blinds and shutters couldn’t be further apart. Shutters are a solid structure that attaches to the window whereas blinds dangle from a cord. Blinds are temporary and can deteriorate after 3-5 years while shutters are permanent and can easily last 20+ years. 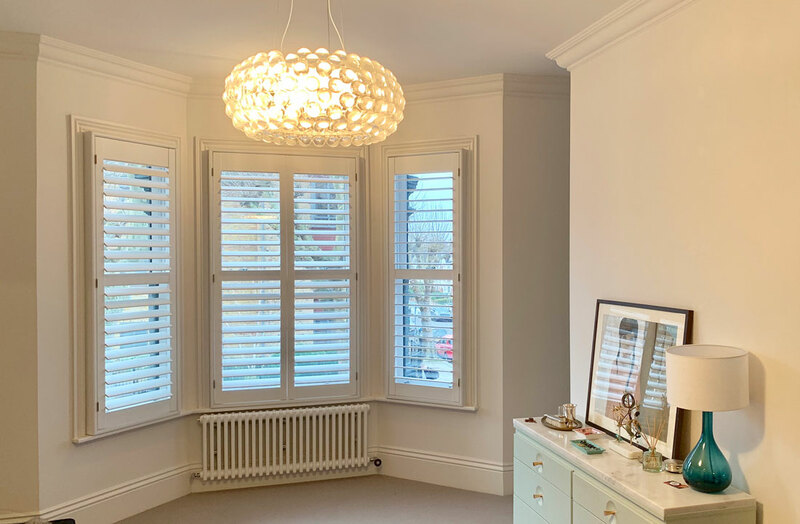 If you have a few questions about plantation shutters that you would like answering, or would like to book your free, no obligation in-house survey, contact Totally Shutters today on 0203 960 6963. What Window Treatment Works Best In Humid Places? Certain rooms, such as bathrooms and kitchens, are subjected to more humidity. It’s important to choose the right window treatment as condensation buildup in humid rooms can cause your window treatments to warp, chip or go mouldy. The most important factor in deciding whether a window treatment can survive a humid room is the material. Real wood will swell, warp and mould in a moisture-heavy room even after a short period of time. Whereas curtains are like sponges in humid rooms and will soap up the moisture, making them ripe for discolouration and wrinkling. There are a handful of window treatments that excel in moisture-laden areas, but nothing compares to UPVC shutters. Not only are they unaffected by humidity, but UPVC shutters are waterproof, so even direct contact with moisture is not a problem. This means polyvinyl shutters are perfect for kitchens and bathrooms that have a “splash zone”. Although best suited for kitchens and bathrooms, UPVC shutters are suitable for any room in your home. UPVC shutters are finished in high-grade pain, meaning they’re available in any colour and come with a marine grade stainless steel hinge to prevent rusting. With the right window treatment in your kitchen, bathroom or laundry room, you’ll never have to worry about damage caused by humidity. To find the right window treatment for your home, or to request your free no obligation in-house survey, call us today on 0203 960 6963. All shutters come with a 5-year guarantee.